Some of my Ragnar team mates and I have been kicking around the idea of signing up for another Ragnar relay. We haven't bitten the bullet yet (ie, no money has been thrown down) but there are high levels of seriousness. For reals. I mean, for realz. It will be a Big Thing. So I've been preparing myself for this Big Thing by shifting more of my focus on trail running. This meant an hour long trail run with my team mates last weekend in St. Edwards park, which was So. Much. Fun. 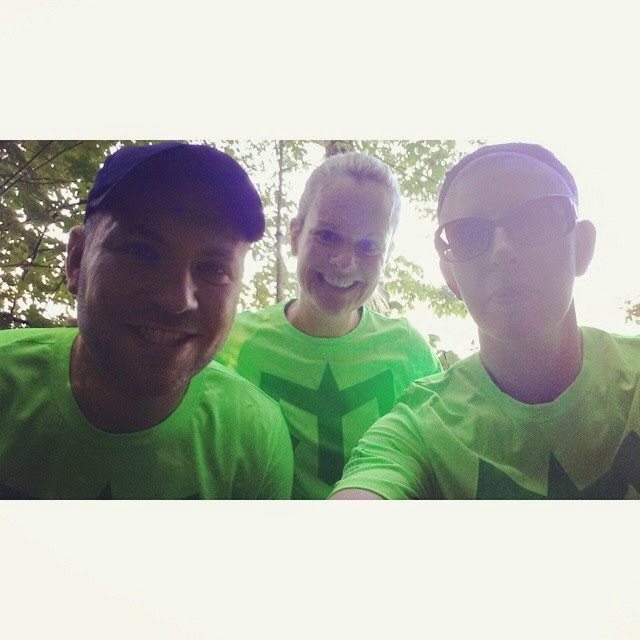 I forgot how much I loved running trails with friends, it had been a while! I am still not comfortable enough to run trails on my own, so I just hope that my team mates want to keep getting together! Not the best photo of us, but here we are mid-trail run. Step two is I just had to go get new trail running shoes. Okay, in all honesty, the trails I am running/will be running for the foreseeable future likely won't be so technical I couldn't run them in my road shoes, but having new shoes helps me feel legit, and is also really, really fun. 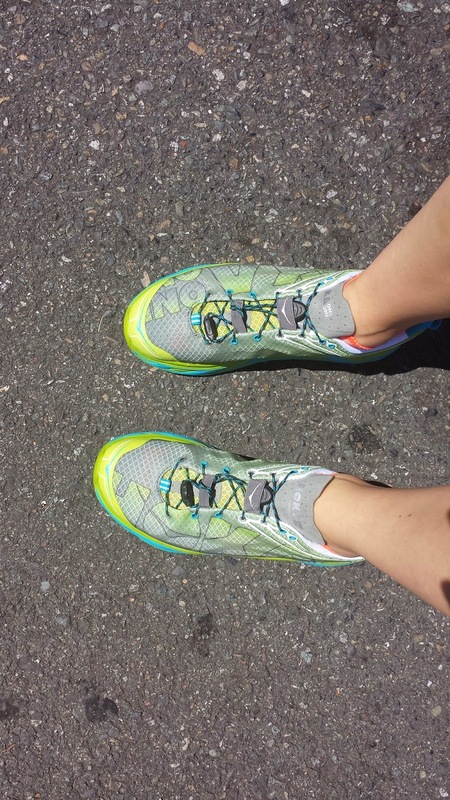 I went to an un-named shoe store and tried on a bunch of different shoes before deciding on the Hoka One One Huakas. In my opinion they look like Hoka-lights. The have the built up sole, but not as huge as the other I have seen. I think these have a stack height of 25mm in the forefoot and 27mm at the heel, so they give me more cushioning than my beloved Sauconys while still maintaining a low heel to toe drop, which I like. I ran in them on Wednesday and I loved how they felt, so I am excited to take them to the trails! Still can't decide if these are cool looking or ugly. Step three is to run my first trail race, so this weekend I am doing the Grand Ridge 5 mile trail race. I sent a message to my team mates asking if they were interested in doing this one with me, and Ray sent a text back saying he just registered! Well, I had to register, then, no backing out if Ray was committed. I won't lie, I am a little nervous. 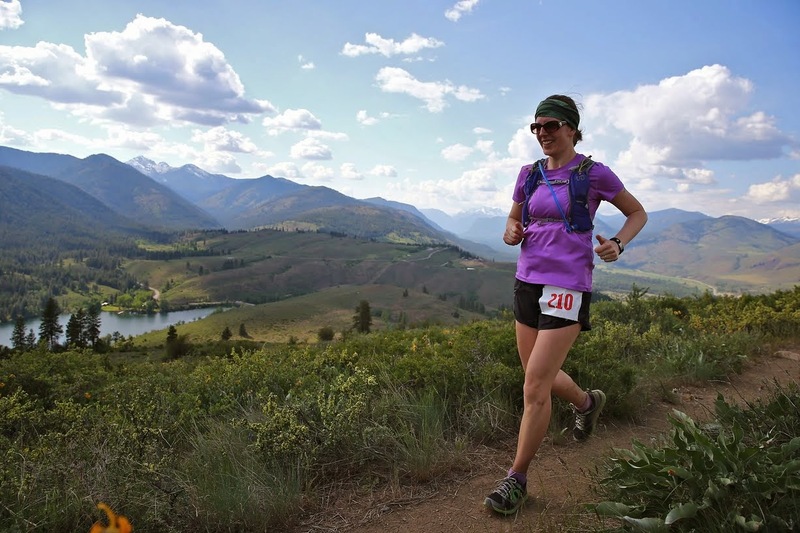 Trail racing is very different from road racing-- for one, there is a teeny little trail, not a huge open road. I am not entirely sure on the passing/be passed etiquette, so hopefully I figure it out quickly. I also don't know if I should carry water with me. Stupid, huh? These are the things I worry about. And this has nothing to do with any of this, other than it also makes me really happy. 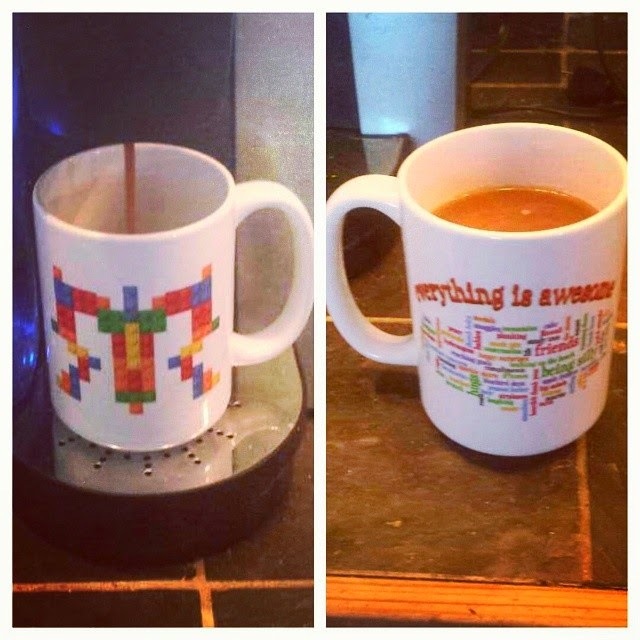 I had a coffee mug made of our Ragnar team's logo! Coffee tastes extra yummy in my new mug. Good luck at the race tomorrow! Can't wait to hear how it goes.